Livable Communities – GPI | Greenman-Pedersen, Inc.
People’s health and well-being are closely linked to transportation. At GPI, we realize that our professional services can make a difference in people’s transportation choices and eventually their health. We strive for a balanced development of all transportation modes and provide planning, people-focused urban design, and engineering solutions that facilitate sustainable transportation in the form of public transit, cycling, and walking. GPI focuses strongly on road safety. The avoidance of road crashes resulting in serious injuries or fatalities is a high priority for communities, cities, states, and DOTs. Initiatives, such as Vision Zero, in cities across the U.S., directly address road safety. For GPI, safe roads are a goal of sustainable transportation, and we contribute to this goal via a wide range of professional services – from multi-modal transportation planning to traffic engineering, complete streets, and urban design. GPI is supporting the development of sustainable transportation modes. On Long Island, where today the car is by far the most used mode, BRT is being seen as a valid transportation alternative. BRT is planned along an important north-south corridor (Nicolls Road) on Long Island where historically east-west routes accommodate commuter’s needs to reach New York City. The BRT includes components such as bus lanes, transit signal priority, queue jumps, and real time passenger info in order to produce a high-quality mass transportation option to encourage decreased auto usage. The BRT service would make stops at key traffic generators including a large university and hospital, a community college, a major train station/transportation hub, and myriad communities. Establishing parking facilities along this 12 mile route is critical and will help support economic development and provide a more favorable option for residents that would otherwise operate single occupancy vehicles to and from their destinations. GPI’s team of urban planners (formerly ORW) prepared street design guidelines for the City of Burlington Transportation Plan. The guidelines were prepared in 2007, long before there were any such guidelines available as a reference. The guidelines are a major component of the plan which address expanding transportation choices, safety, connectivity, aesthetics and the quality of experience of the city’s street system. The street design guidelines identified a citywide hierarchy of streets including: •	Complete Streets: important gateway streets that accommodate all modes of travel (pedestrians, bicycles, transit, and automobiles) and allow for safe mobility. •	Transit Streets: streets which place a priority on the efficient facilitation of transit. •	Bicycle Streets: streets which place a priority on completing a network for bicyclists. •	Slow Streets: streets in downtown/waterfront ‘pedestrian core’ with pedestrian priority and slow vehicle speeds. GPI’s planning and landscape team led the project scoping and definition for Garden Street in South Burlington. Garden Street is located in a partially developed area known as City Center – an area envisioned to create a new downtown for South Burlington. The purpose of the Garden Street project has been to develop the supporting infrastructure for City Center, create comfortable and attractive public spaces and a distinctive identity for City Center, improve transportation network connectivity and circulation and enhance multi-modal travel and safety in City Center and South Burlington. Working closely with project engineers and city staff, the GPI team led the stakeholder and public outreach process, the identification of goals and alternatives for Garden Street and the identification of a preferred street design. The selected alternative responds to the community’s desire for Garden Street to be a “complete and green street” accommodating bicyclists and pedestrians at a high level as well as the integration of green infrastructure via stormwater rain gardens into the conceptual design. GPI investigated specific intersections and corridors in areas with a high elderly population. The goal of this study was to reduce senior pedestrian crashes by improving safety and promoting walking as a preferred mode of transportation. Area-wide senior pedestrian studies and assessments we conducted with resulting plans prepared for 20 focus study areas. 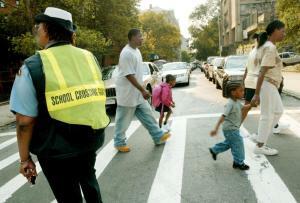 GPI was assigned 29 schools to develop school safety reports and develop pedestrian safety improvement plans. The goal of this program was to improve walking conditions for students and provide safety in their daily commute to school. GPI provided design for this GreenLITES project (Green Leadership in Transportation Environmental Sustainability), a NYSDOT rating program that recognizes transportation project designs, operations, and maintenance practices that incorporate a high level of environmental sustainability. This project was certified as a GreenLITES Evergreen project, the highest level of advancements of sustainable transportation solutions in New York State. As part of the design, GPI employed the themes of sustainability and smart growth while improving safety and mobility. It integrated landscape restoration, multi-modal traffic planning, and road safety improvements along the project corridor in a complementary manner. 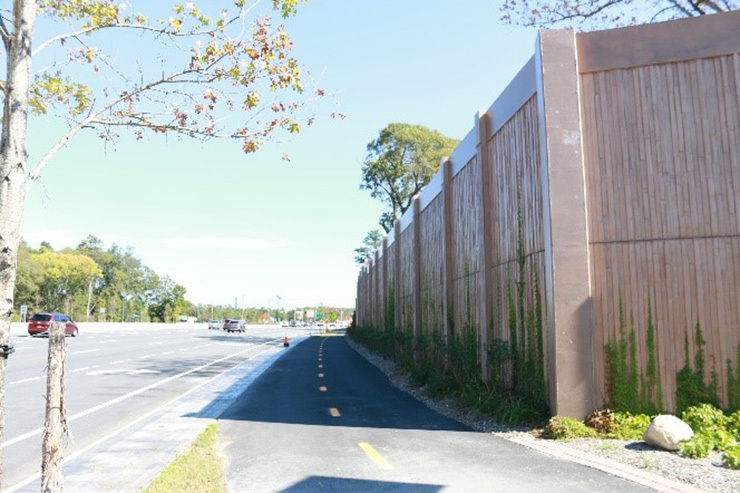 Project elements included roadway improvements, traffic calming, shared-use path and greenway stops, bio-swales, rain gardens and water quality basins, and bus stops and shelters with bike racks and solar lighting. This project was also the recipient of the ACEC Engineering Excellence Award by the American Council of Engineering Companies in 2014.